Posted On December 07, 2016 by Team iCynosure. What do you do when you receive an invite that offers a wine and cheese evening with a renowned artist with in-depth understanding of Indian Art? For someone like me who is an art lover, simply jump in joy and reply in acceptance. However if you get to know that the artist is the talented, alumnus of Sir JJ School of Arts, Brinda Miller; all you can do is remain spellbound. 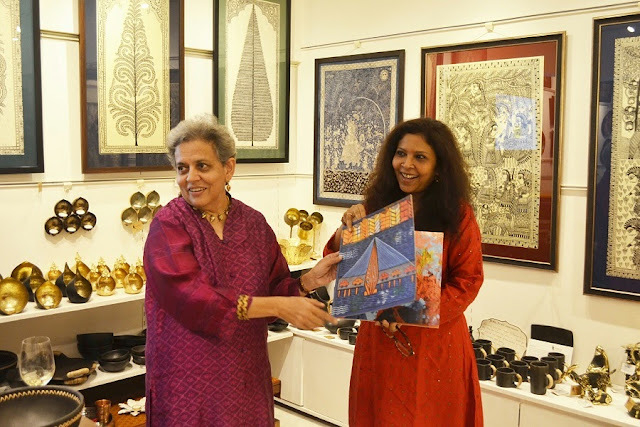 And for the uninitiated, Brinda is one of the most respected names in the Indian art scene with over 15 solo exhibitions and is the creative, non-executive member of the Kala Ghoda Arts Festival organising committee. As I headed to Baaya Designs, I couldn’t contain my excitement. 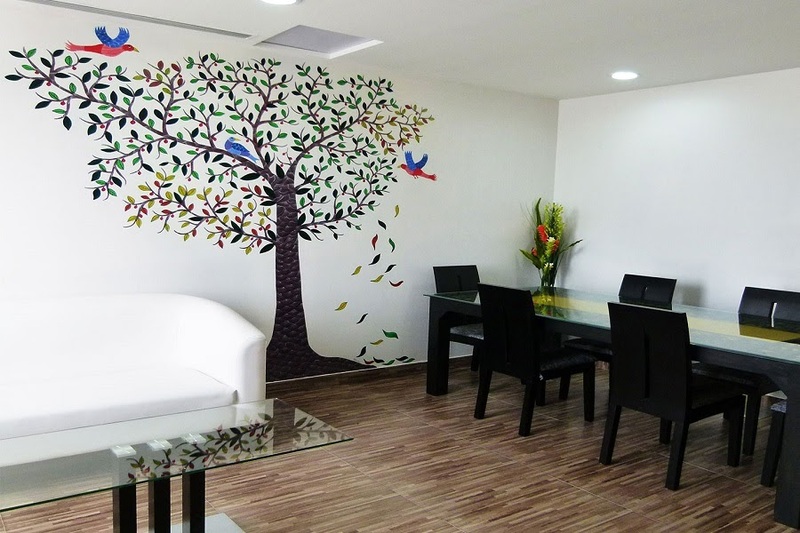 The rendezvous was spearheaded by Shibani Jain, a NID Ahmedabad alumnus and the Founder and CEO of Baaya Designs. 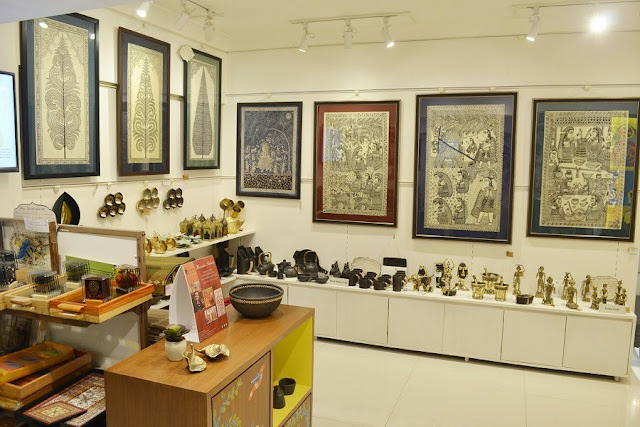 Baaya Design is the most revered address in Mumbai for its unmatched craftsmanship that speaks volumes of how India’s old age exquisite art and craft is moulded to suit the modern day demands, making it one of the kind for both art practitioner and connoisseurs and art lovers. In its unique way Baaya Design Studio offers a range of Tribal and Traditional Art, Art Installations, Murals, Furniture and Accessories transforming living spaces into artistic environments. 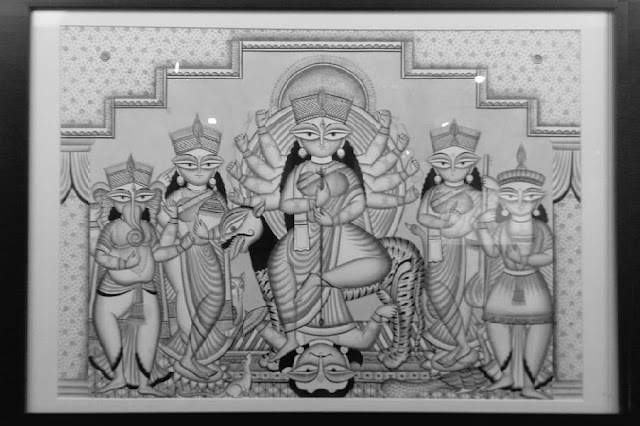 #BrindaSelects was the flavour of the evening with Brinda that enlightening me about Indian art forms, the importance of a balance between art and crafts and an artist’s insight into the thought-process while creating a piece of art. During the discussion a couple of really important points that’s stood out were how modern day artists are inculcating the traditional arts into more habitable options of craft projects and the need for artists to collaborate with each other to create magical pieces that add an element of exclusivity. 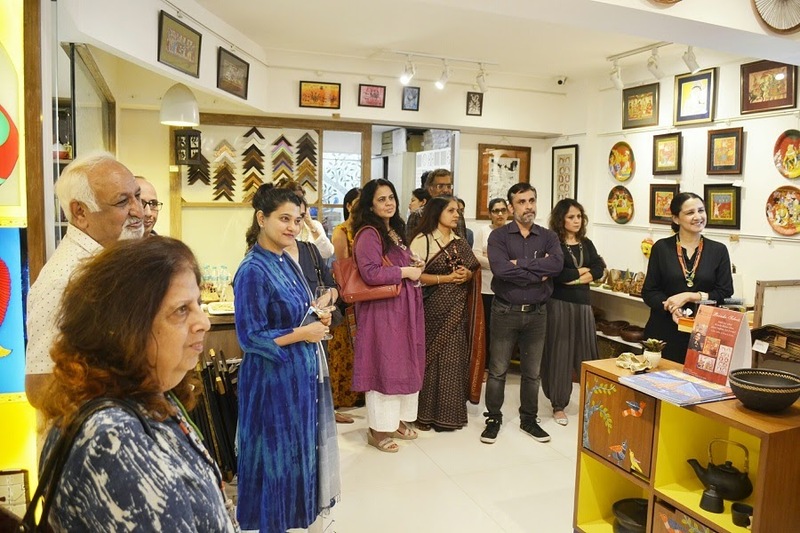 Just as Brinda mentioned that each piece of art has a different interpretation for every person who looks at it, in a similar way each piece speaks to every personal differently giving them an insight of their personality. With the limited amount of knowledge I have about Indian arts, a few forms that really connect with me are the Mata ni Pachedi and now the Tree of Life. The Tree of Life in its various forms is recognized as a symbol of immortality and eternal life that is classified by the symbols (Air, Water, Earth, Fire) it projects, the powers (Healing, Rejuvenation, Sustenance) it commands and the magic (Telepathy, Osmosis, Communication) it exudes. Yes, each art form is so intricate and with multiple layers of understanding. If you too like me are interested in learning more about each art form you can participate in the walk-through sessions that is organised at Baaya Design on the first Saturday of each month, to know more email them at info@baayadesign.com.